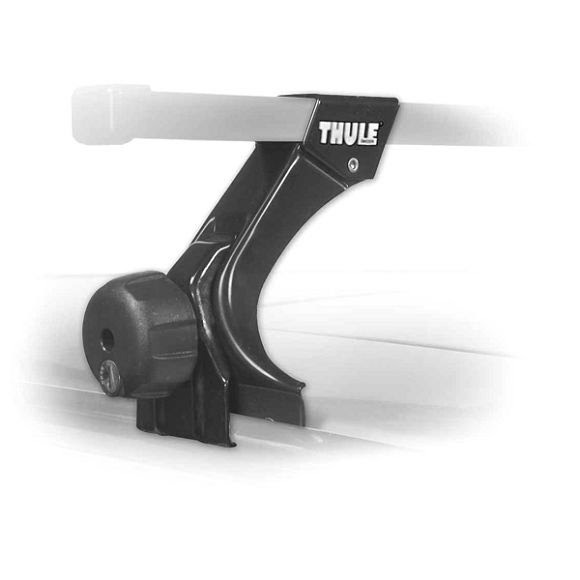 Thule developed thieir High Foot Gutter Mount Foot Pack as a rock solid rack solution for vehicles with rain gutters and high profile roof lines. Created for cars with rain gutters. Perfect and secure fit even with very narrow gutters. Vibration-damping and anti-slip vinyl coating. Powder coated galvanized stamped steel construction. Product provides 8 inches of clearance above roof of vehicle. One Key System can be locked with four lock cylinders (sold separately).